Set off on a walk through nature starting from Bretaye and arriving in the centre of Villars. Several variants are possible. Along this lovely walk, you’ll pass the Les Bouquetins train stop and its legendary stone Maison de Montagne, a former Military Cabin. Several variants are possible from here. Variant 1: The route then continues along the ridges towards Col de Soud to the Le Scex Cabin with its magnificent panoramic views. The advantage of this walk is that it stays close to the train line so you can take the train back down if you feel tired. You’ll also have the chance to refuel at one of the alpine restaurants at the train stops. Variant 2: From Les Bouquetins, walk down in the direction of Villars. After a few hundred metres, you’ll come to a crossroads. If you head left, you’ll come to the Col de Soud and the rest of variant 1. If you head right, after the crossroads, you’ll get to the top of the Domaine de la Résidence. This variant also brings you back to Villars. This 5.5 km walk is perfect for families with children. 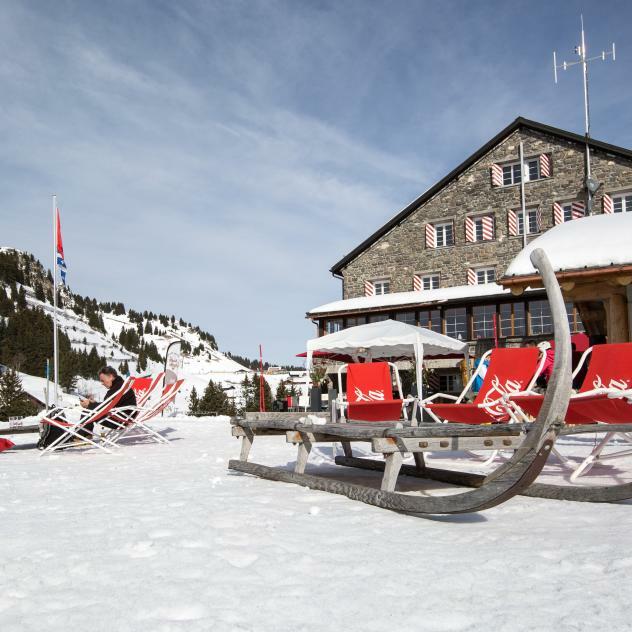 The Crazy Moose is the restaurant of Maison de Montagne in Bretaye located 1,700 m above sea level. 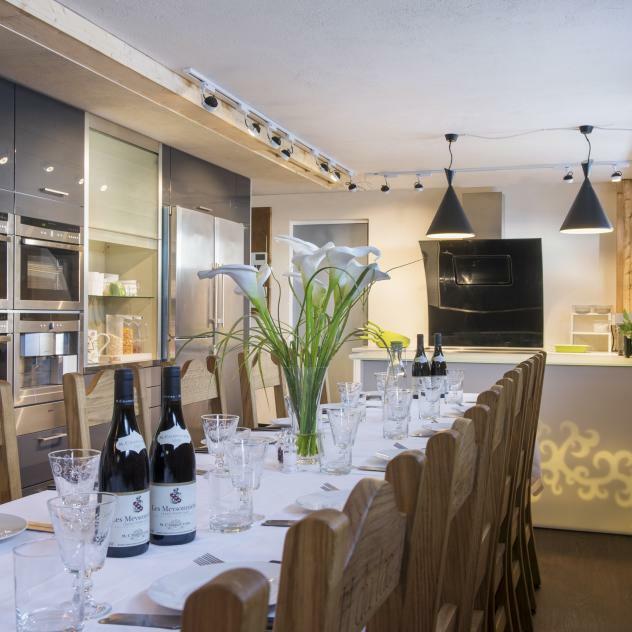 This is the ideal place to share friendly moments at a unique site in the heart of the Vaudois Alps and the ski area of Villars-Gryon-Les Diablerets. 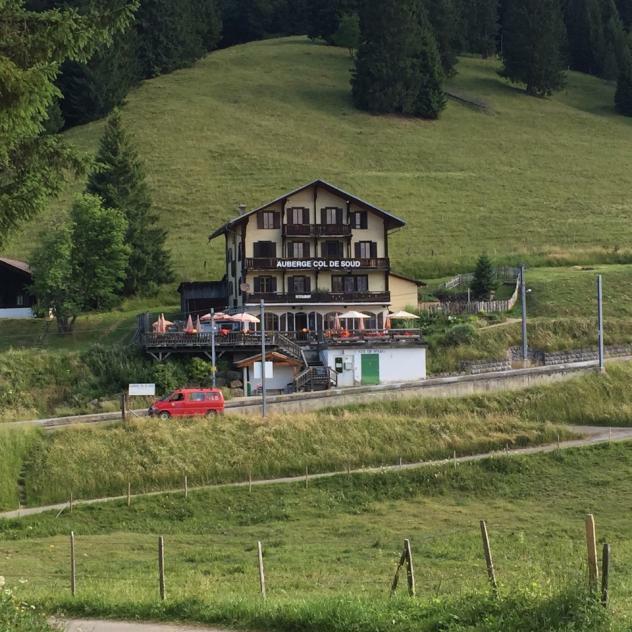 The Auberge du Col de Soud is ideal for a gourmet break in Villars-sur-Ollon. It offers terroir dishes and home-made desserts and a charming sunny terrace in the heart of the resort.